This should be a stunning MARCH and fairly tough work. It’s an off road course with plenty of adulating elevation. 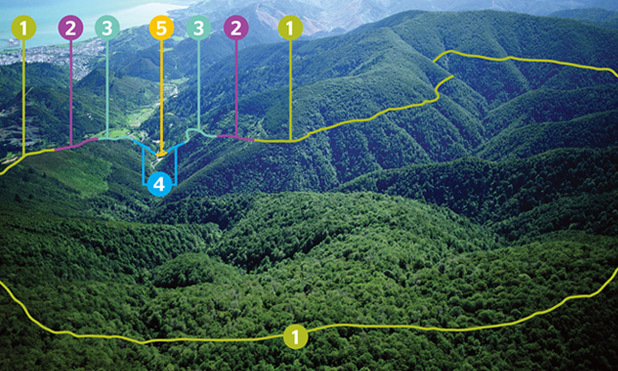 The long course we’re doing starts by heading up Nelson’s 1862 ‘railtrail’ which began as New Zealand’s first railway. It was horse drawn, transporting the chromite and copper spoils from the Dun Mountain Mineral Belt before closing in 1866 due to unfavourable returns. The climb heads up and up, ascending Fringed Hill (793m), which should offer stunning views out over Tasman Bay. “Imagine a place… where native plants and animals thrive, without threat from introduced pests. … alive with birdsong, where rare species such as kiwi, tuatara and kakapo roam freely. … where you can get involved and make a difference. … where visitors can see native flora and fauna close to home. This entry was posted in MARCH adventures, Trail races by Camo. Bookmark the permalink.